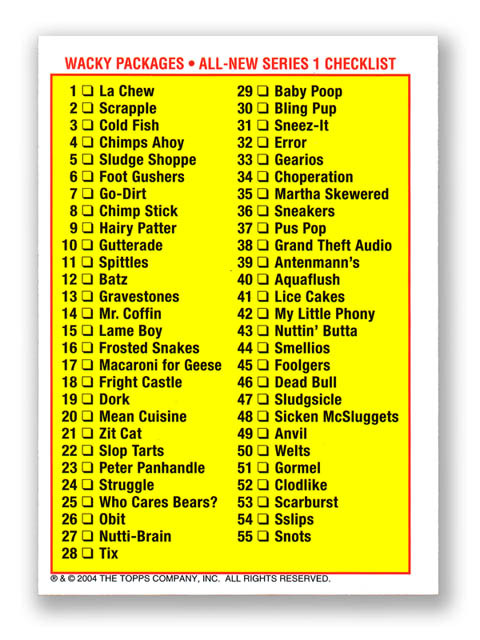 The 1st Series 2004 Base Set consists of the 55 stickers on the checklist (see below). It does not contain the bonus stickers, static clings or tattoos. 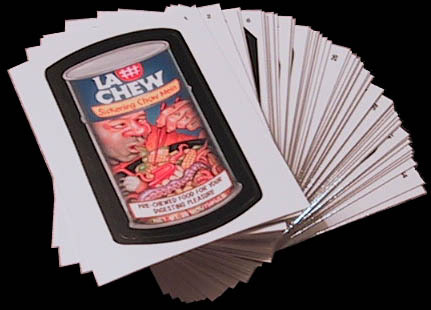 Each pack of 1st Series contains 6 stickers from the base set. You need to open about 15 packs to put together a full set.